Vittoria has been in the cyclocross tire market for decades, and the company recently released the Terreno line that reflects the newest in the company’s material and design technology. 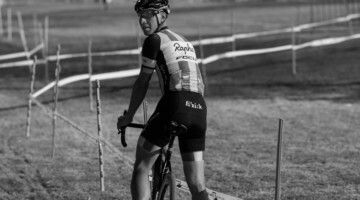 Cyclocross Magazine spoke with Ken Avery, Vittoria’s Vice President of Marketing and Product, to take a deep dive into the design of the new Terreno line. Vittoria teamed up with Cyclocross Magazine to sponsor this piece to tell the story of the design of the new Terreno cyclocross tires. The next three weeks, we will be presenting a series of Mechanical Monday p/b Vittoria posts that look at each of the Terreno Dry, Terreno Mix and Terreno Mud cyclocross tires. 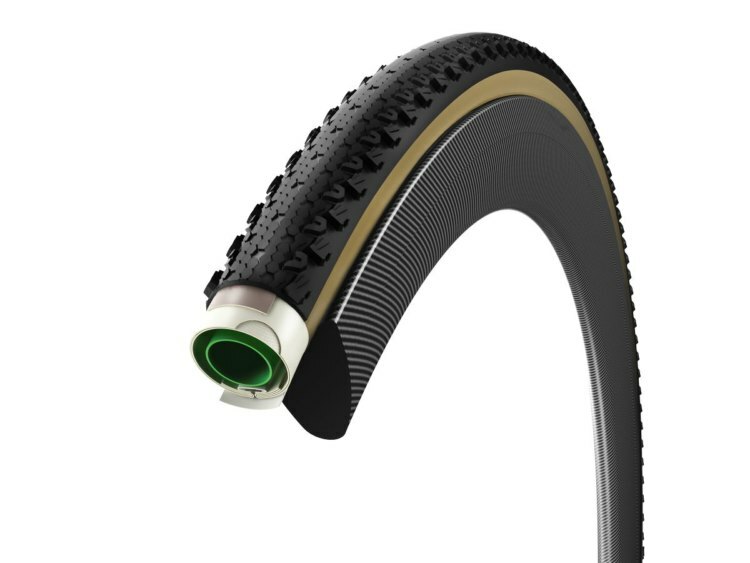 In this first of three Mechanical Monday p/b Vittoria pieces, we will be looking at the new Vittoria Terreno Dry cyclocross tire. 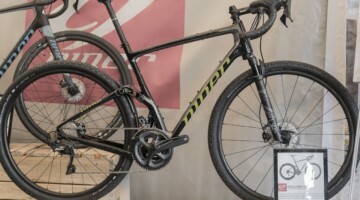 During this series, we will also look at some of the technologies Vittoria brings to their cyclocross tires to help enhance their performance. Cyclocross Magazine has previously looked at the Terreno line that comes in 31 and 33mm tubular and 31, 33 and 40mm tubeless versions. The new tires are built with Vittoria’s 3C layering process that uses three different compounds within the tire and the G+Isotech Graphene compound. 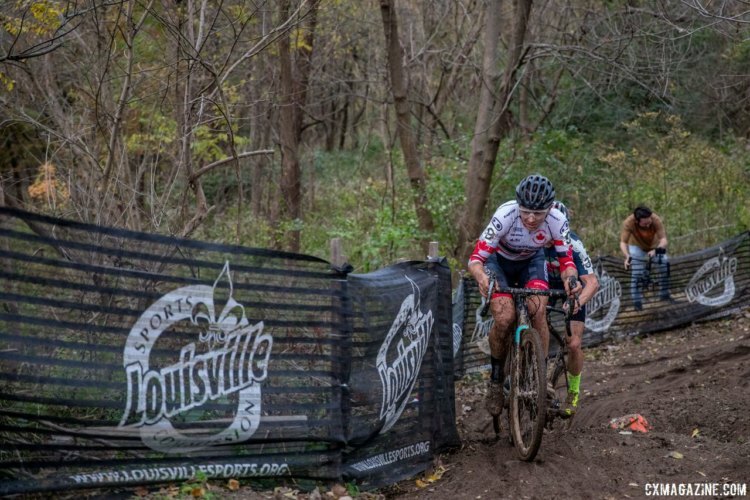 Cyclocross Magazine’s Zachary Schuster spoke with Ken Avery of Vittoria, who has nearly 20 years experience in the industry, about the details of the design. Ken is a self-professed tire geek who brings both a micro and macro-scale perspective to tire design and the features that are packed into a 31, 33 or 40mm tire. 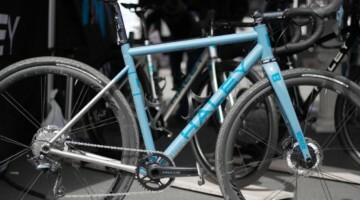 CXM: Vittoria has been making tires for a long time, but how long have you been in cyclocross? Ken Avery: We’ve been doing this for decades. Within the last two seasons, we’ve really brought something forward which highlights all the new technology we’ve developed within bike tires. 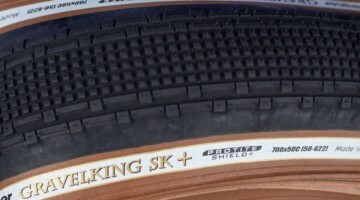 It includes a combination of our work with mountain bike tires, casing technology and advancements from the road side. 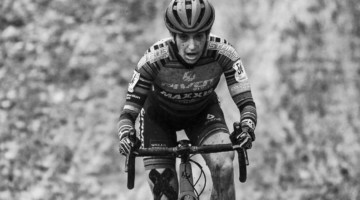 It’s a new chapter of sorts, but it’s definitely built upon the deep foundation Vittoria has within road and cyclocross. CXM: Specifically with a tire like the Terreno, how does that design process work? Do you sit around sketching on a napkin? KA: Actually, there are napkin sketches. The process comes about in a semi-organic fashion. Feedback from the market provides current trends and product needs and identifies problems that aren’t being solved for consumers and racers. Those types of ideas are often what sparks a new direction in product development, and at the end of the day, we’re just trying to continue our evolution of product development and further increase performance of our tires. There’s always that napkin sketch that comes pretty early in the idea and design phase, and then these eventually materialize into a CAD drawing and then a 3D print. Eventually, we fabricate prototypes and if everything works out, we release it. CXM: So the athletes get prototypes? Do you send them a prototype that they get to go out and rip around? Once they offer their feedback, how are they involved? KA: A hundred percent, they are involved throughout the process. 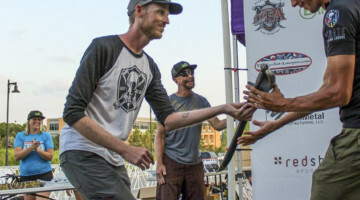 Feedback on the Terreno line primarily came from Adam Myerson, Justin Lindine, Robert Marion, Michael Van den Ham and then there were a number of other people who are kind of more local guys. 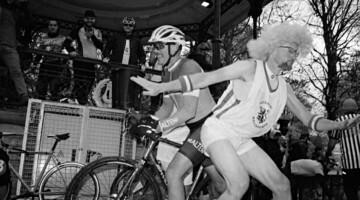 There’s also a very high-profile athlete who everybody knows very well in the cyclocross scene who helped me with this. He’s a life-long friend of mine. I can’t tell you who that is but you wouldn’t be shocked to guess who it is. We worked with a bunch of women on this project as well. I had people riders such as Teal Stetson-Lee and Erin Faccone, who’s more of a local pro in New England, on these early on. We had women from the JAM Fund team from two seasons ago riding them, and even Ellen Noble rode these before we released them. We really did have a diverse cross-section of people to try these out very early on. Cyclocross is the most difficult segment to design for. On an average cyclocross course, you have the most varied terrain types you could ever think of. You’ve got pavement, you’ve got mud, you got grass. Usually, you design a tire for a specific terrain type, but with cyclocross, you need to design for all those things and then have the tire only be 33mm wide. You want all this to happen on a very small contact patch. It’s quite a challenge. For that reason, it’s key to have a diverse list of athletes who are at a high level. We really have that with the group of people we work with. 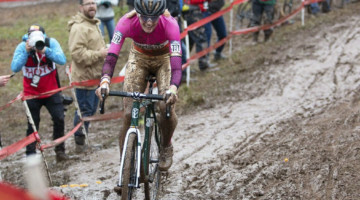 CXM: A few weeks ago, we looked at Becca Fahringer’s bike and she’s actually racing professionally on tubeless, but to that question on tubular versus tubeless, what are the gains from your perspective of going tubular for cyclocross? KA: It’s funny, I think there are pros and cons for the question of tubulars versus tubeless. I don’t know if it’s a straight gain by running tubulars. Tubulars are great a number of reasons. They roll really fast, they have less deflection, which means they have less rolling resistance when you hit a bump. The other big thing is`at low air pressures, in theory, you’re not going burp a tire or roll it because it’s glued to your wheel. You would pinch intertubes really fast at those pressures. The new tubeless technology that we have at Vittoria is different. The TNT is sort of a family of traits within a casing. It’s not just a simple tubeless-ready bead. The tubeless technology has come around, especially in the last few years and is really strong. It’s the kind of thing where if you set your wheel up correctly, you’re not going to burp even at low air pressures. Vittoria makes more tubulars than anybody in the world. We’re known for that and our tubulars are excellent. We have a lot of people who love them, including me. I have tubulars on my bike. That said, the tubeless technology is coming on strong in a big way. We have a lot of innovation that gets a lot of the issues solved. That concept of addressing issues is present in the entire Terreno family, which is something you will see when we go through each of the three models. We took common problems and offered solutions and that’s one of the reasons these tires have been standouts. 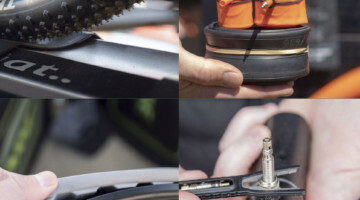 The tubeless part is one of those traits that are worth noting. 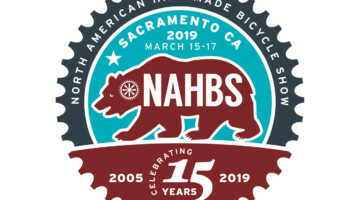 If you’ve tried tubeless in the past, it may be worth another look at this point with the newest tubeless technology, especially with these new traits. CXM: Let’s get into the Terreno Dry. What problems were you looking to address? KA: When you’re looking for a dry ’cross tire, people typically run file treads. A typical file tread has micro diamond knurling in the center and then knobs on the side. That’s your standard file tread from everybody, and to some extent, a file tread is a file tread. Let me ask you this, what happens when you hit your brakes on a file tread? Nothing. The thing slides or if you’re off-camber, you start sliding downhill off of it. It can be a battle where the tire rolls fast but does everything else horribly. That was the number one problem we wanted to solve. The other problem we wanted to address was when you get on the pavement section of the course and you try to take a corner on pavement on a file tread, you get that really weird sensation where you kind of go from that micro diamond knurling center to a big side knob and there’s this weird gray-area feel. What’s going on is you’re on a single row of side knobs which have very little surface area, so you’re not digging into the road. The knobs stay on top of the pavement and you’re asking all of your traction to come from a very small surface area on top of a knob that doesn’t dig into the pavement. The system is inherently flawed with file treads and that’s something we wanted to solve with the Terreno Dry. 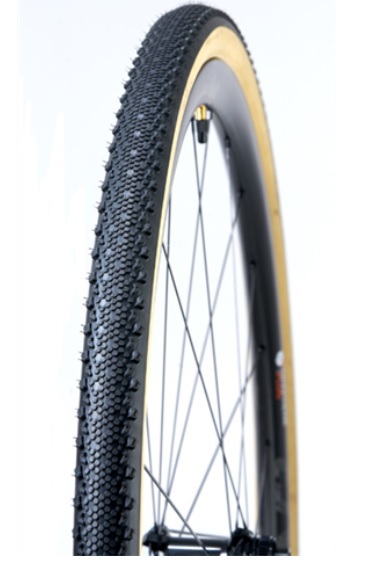 The Vittoria Dry cyclocross tire has three levels of treads. CXM: That makes sense, that transition from a low to high profile you’re describing. Can you explain the different parts of the tread? KA: Let’s start with the center tread on the Terreno Dry first. As we just talked about, on the pavement, your tread is not digging into the terrain. It’s kind of riding on the surface. You’re asking the tread to create grip, but you also don’t want the tire to roll slowly. If you made a more aggressive tire, you might have more grip, but it’s going to roll slowly. The magic with the Terreno Dry is the fish-scale center is basically a series of hex shapes that interlock, and they’re all angled slightly upward in the direction of rolling. When the tire rolls forward, it rolls up this ramp and you don’t feel it. The tire rolls like a slick, but the second you put a braking force on this tire and the force goes in the opposite direction of rolling, you engage hundreds of these effective micro-edges because of those little ramps. If you run your finger one direction on the Terreno Dry and then run it the other direction it’s like two different tires. It gives you this noticeable Velcro feel when you hit your brakes or when your corner. The hex shape is really important here because if you look at a tread itself, the trailing edge of the hex pattern is flat. It’s just one of the sides of the hex shape, but it offers a square braking edge when the fish scale stands up during braking. It offers an impressive amount of grip that directly opposes the braking force. The angled sides are also like the angled trailing edges. These oppose the cornering forces whether you are leaning left or right. This hex shape is something that has inspired a lot of things in Vittoria’s products. That hexagonal shape is also the shape of the Graphene in our compounds. The shape is something that spoke to me from a tread design perspective because you have that flat braking edge and the angled cornering edges within the center tread. This design can really make a difference on tough spots on the course. 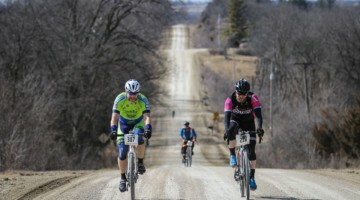 Imagine you’re coming into a slippery off-camber section that some people have to run, but others who play it right can ride and pick up time. You’ll be able to ride it on this tire because it will oppose drift and provide the traction you need. It’s also going to still brake really well, climb well and most importantly, it rolls as fast, if not faster, than a micro diamond knurled center on a traditional file tread. There are all of these design elements we put into the Terreno Dry that makes it an incredibly versatile tire. Adam Myerson said one of my favorite things about this tire, “So often you run a file tread maybe 10 percent of the time maybe 15-20 percent maximum. Dude, it’s almost November and people are still running Terreno Dry because it’s so versatile.” Adam said he can run this tire for half of his races because it’s so versatile. CXM: That makes a lot of sense. What about cornering? KA: The other big issue we run into is when riders transition from riding upright to a cornering position. We wanted to make sure the Terreno Dry also has capable side knobs for digging into the grass. Also, there are those situations where you’re on the start line and then it starts pouring rain. What are you going to do? Similarly, if you’re on a gravel adventure ride and the weather changes or the terrain changes, we wanted to make sure to provide a capable side knob for those situations. The magic with the Terreno Dry is how you move from the center tread to the side tread with a smooth transition. The mid knob is based on the V pattern you see on a lot of cyclocross tires. If you’re sitting on your bike and you’re looking down at your front tire, so often you’ll see a V formation within your tread. There’s two main reasons for that. The first is if you’re trying to climb up a hill and your tire slides at all, it will dig down to get traction somewhere under the loose top layer. The other reason is a V formation will provide rows of effective edges that oppose corner force and provide traction. If you flip your tire upside down as it rolls and then turn your handlebars, you will go in the direction that V formation is pointing. It’s all about how the ground goes across your tire when you’re trying to turn and change directions. We put the mid knob in between the side and center treads using a V pattern for two reasons. The mid knob height is set halfway between the heights of the center and side treads. It staircases up from the center to the side tread. This means if you are going to a cornering position, you are not going from low profile right to high profile. You have a kind of stair-step that feels very similar to riding a slick. You don’t feel the side knobs when you corner on pavement with the Terreno Dry. This was a major goal for us with this design because we wanted to provide confidence and feel and not have an inconsistent transition. Especially if you’re coming around that last corner and going to sprint for the finish, you go from off-road to pavement, we wanted it to feel consistent and secure and have it hook up. We staggered the knob heights from the center to the side with the transitional knob in the middle so it’s smooth. The other key thing is the positioning of that V formation within the mid tread. We talked about that V formation earlier. This kind of is in line with that. The V formation is going to oppose cornering forces by providing little walls of effective edges to create grip. You hit the center tread, then you hit the mid tread, then you hit the side tread every time the period of pattern repeats itself as it rolls. That provides a really consistent look and feel. When people ride these, they can’t describe it, it just feels good. It’s one of those things. That’s kind of the goal. That’s a super dorky way of trying to describe this. I don’t know if that makes sense to you but that’s kind of how it works. 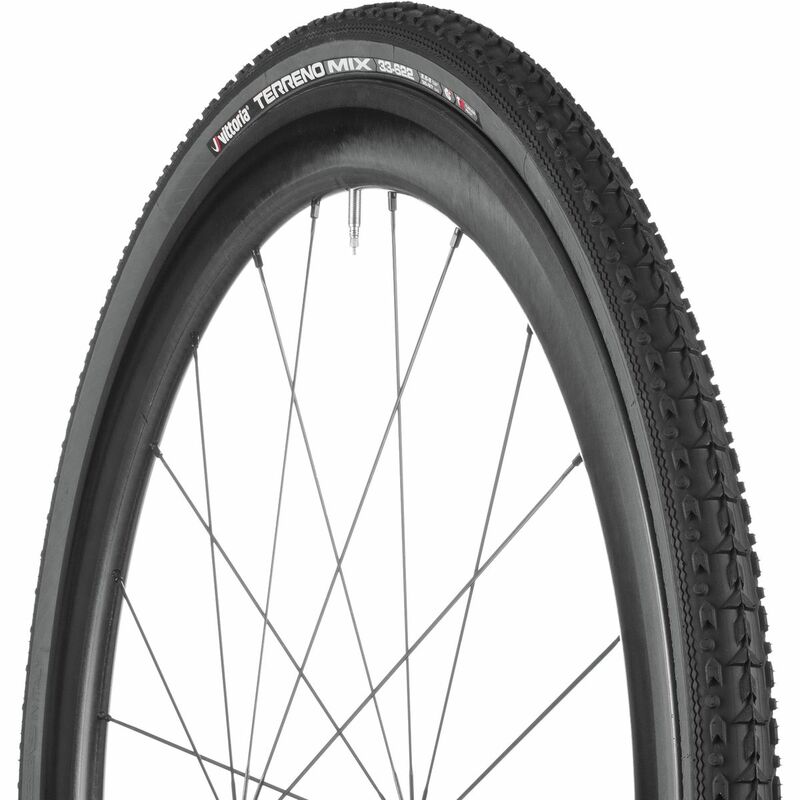 The Terreno Dry has side knobs developed from Vittoria’s experience with mountain bike tires. CXM: I’m looking at the picture. I noticed on the sides the Vs are kind of like half of the V that you say that you see on the chevron shape. What was the goal with the side knobs? KA: The shape of the side itself is derived a bit more from mountain biking. It’s something we have learned works well. On the outermost side knob, you’ll notice two things. On the inside edge, you’ll see a staircase there. That will do two things. If the knob falls over, another effective edge will stand up within that side tread and give you traction. The other thing you’ll see is a sipe. A sipe is nothing more than a groove on a given knob. The purpose is it allows for directional flex perpendicular to the sipe. If you think about it, you can kind of squish that little groove closed. 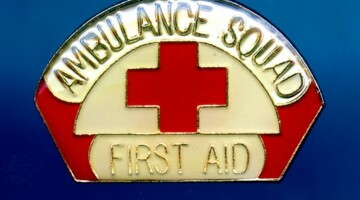 The purpose of that is to offer some compliance. If it was just a solid chunk of rubber, it wouldn’t be as flexible in that direction. We wanted to make it flexible in one direction and not flexible in the other. It’s quite stiff in the direction of rolling but in the direction of the cornering force, if you draw a line perpendicular to that sipe towards the mid tread, it’s nice and compliant. You can kind of squeeze it in your fingers right there and see it’s nice and tacky. We talked earlier about how a traditional file tread has a single row of side knobs that don’t dig into the pavement, and you’re asking a lot to come from this little surface area on top of each one of those little side knobs. This is one of those tricks where you can take a given side knob and you can vastly improve how it works by putting some texture on it, putting that little sipe in the proper direction and adding that tread staircase. All those things work together to provide a feel that’s so hard to put into a material sense when you’re talking to an athlete. You kind of have to be an athlete to speak the language to understand what they’re trying to say and then translate that into a product. That’s probably the most difficult part of my job. CXM: It kind of sounds like you are the Tire Whisperer. KA: I’ve been called many things but I’ve never been called that. I think that’s hilarious. That’s great. 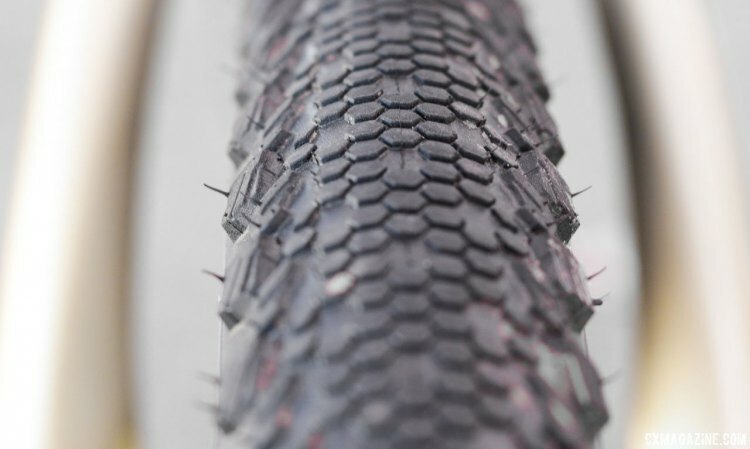 CXM: I would imagine you’ve also thought of the Dry as a gravel tire as well, especially the 40mm tubeless version. Were there compromises? 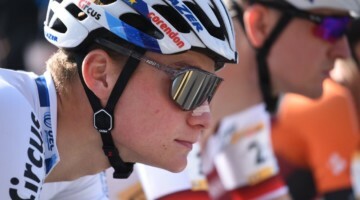 KA: What we didn’t want to do is sacrifice any performance within cyclocross. 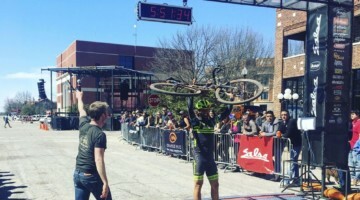 We didn’t want to make it a gravel tire that doesn’t work in cyclocross because of a potential market trend. 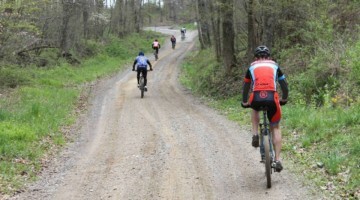 We have already seen the Terreno Dry become popular for gravel use.  It is something that is very popular in gravel. It’s basically the perfect gravel tire for all the reasons that we already went over. It’s going to roll really fast. It’s dependable for the long haul because of the TNT casing and the 3C Graphene compound. It’s still going to offer you performance in a wide range of conditions compared to most other file treads on the market. 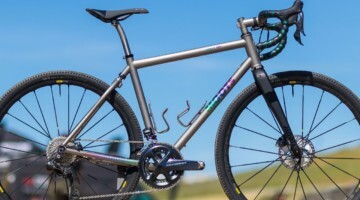 If you go to your bike shop and buy a gravel bike, it is probably going to have some kind of larger-scale file tread on it, but all of them are still going to have that inherent flaw, which is it’s going to have a fast rolling center and it’s going to have knobs on the side and that’s it. It doesn’t have the ability to have a fast rolling center that also works under braking and cornering, and it also doesn’t have that sort of transitional staircase when you go from straight up to lean angles. I think people really see that and they understand it and they say, “Oh okay. 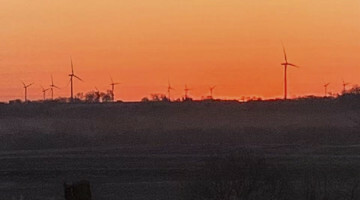 I get that.” The 40mm version just provides more of it. The next two Mechanical Monday p/b Vittoria will take a look at the Terreno Mix and Terreno Wet tires as well as some more of Vittoria’s tire technology. As someone who races 12-15 cyclocross races a year in Colorado – probably half of them on file treads, I’m intrigued. Currently I’m a big fan of Challenge Chicanes for dry grassy courses (the super aggressive side knobs really hook up when leaning into corners) and my old Clement (Donnelly) LAS tires for sand-heavy courses and icy conditions. Is it just me or does the Terreno Dry look like a different tire in each of the three pictures? First picture looks like a very rounded profile, second picture looks much slicker down the middle, and third looks like a significantly knobbier, squarer profile…? How many miles before those ramped center hexes are worn flat? Seems like that would happen way before the rest of the tread was worn out. 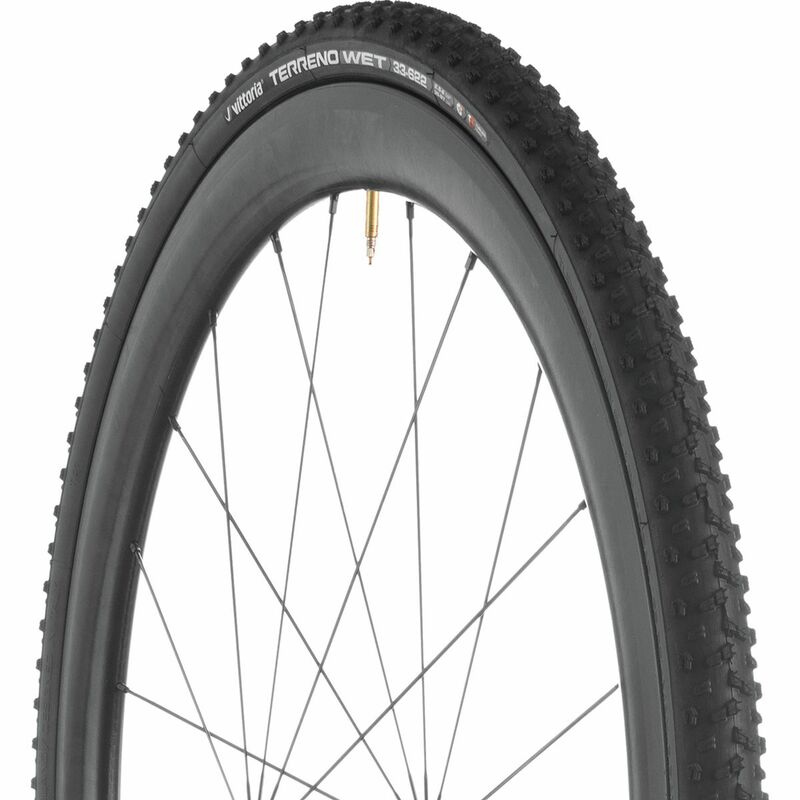 I ordered up a set of each of the new Vittoria Terreno 33mm tubeless tires to try this fall. I initially ordered just the “Dry” hexagon ones, but upon mounting them, I immediately ordered the other treads. They mount up solid, with little effort, hold air, and don’t burp. I feel that the “Wet” version is absolutely the best tubeless tire option for mixed or wet conditions, though it rolls quite fast on dry too. The tires mount up very tight on the bead and that is a major positive when running tubeless, resisting burps (I never use tire levers for any tires, and for these, I needed them to mount). The sidewalls are slightly thicker and stiffer too. Nice large volume, more like a 34, I would say, as they barely (clearly not a true slip in) squeeze into my 33 mm UCI tire check tool. Back to the filetread topic, these low rolling resistance specialty tires are very useful in the quiver, and I have previously been much in love with the LAS Clements. Unfortunately, I cannot keep those from burping while running reasonable pressures in the 28-32 psi range, using the benchmark Stans rim. While comparing to the Vittoria Terreno Dry treads, I have mixed feelings. The Vittorias have much more surface friction while rolling on grass because the edge knobs are higher up on the casing, and the hex zone has more of a flat center zone. In comparison, I feel the Clements have grabbier side knobs, slightly lower on the sides so they grab well in corners, but roll faster on straights. In my opinion a ramped Hex is nice in theory, but I’ve learned there are shortcomings compared to a true diamond file tread texture. With the ramped hex, your acceleration traction is not supported by an edge, so the tire is more likely to slip while applying explosive power. While braking, the rear edge of the fin does engage effectively. Unfortunately, they wear so fast that in (less than about 6 hours of use, maybe 2 hours on pavement), they no longer offer much of any braking or acceleration tread of merit. Whereas, a raised diamond is super good when new, with all those little sharp points working equally well whether accelerating or braking. Separate from the quick wear, these Vittorias have absolutely changed my perception of tubeless for cyclocross. I can say this is the first tire I have used that I feel absolutely confident in (and I’ve tested many, many cx tires set up tubeless over the past 14 years). I am an elite/master level rider at 172 lbs. I can reliably run them at 28 psi, and often down as low as 25-26 in dry conditions. Possibly lower in softer mud, though it’s been too dry to test. They stay on the rim really well! That’s why I think the “Wet” tire is the best of their lineup. The “Mix” is worthless in my mind, due to a major lack of edging control knobs resulting in poor performance on off-camber terrain. I think the “Dry” tire performs better than the “Mix” in off camber, surprisingly, until the ramped hexagons wear down. 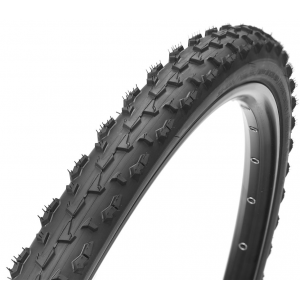 During my tire testing, I was directly comparing my Clement 33 tubulars to these, riding a moderately smooth local trail, using the same pressure of 26 psi. I found that I had to run my tubulars at 28 to avoid banging rocks and the firm ground, while 26 with the Vittoria’s was about the same feel. I suspect this is due to the slightly stiffer sidewalls of the Vittoria tubeless clinchers. So, I would suggest running these Vittoria treads 2 psi lower than what you would comparatively run with a set of tubulars on the same terrain. 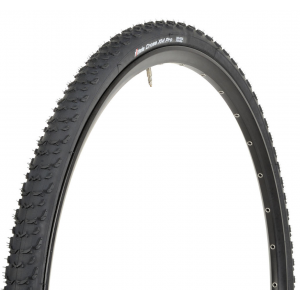 Do the tubeless 40s measure to a true 40mm on a wide road rim? I have the 40c Wet on tubeless Knight rims with 22.5 mm inner width, and my calipers say they are 41.8 mm wide.